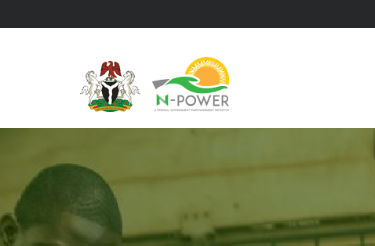 Are you searching for NPower Non graduate programme 2019/2020? Are you interested in registering for Npower Non Graduate Recruitment Programme 2019? Search no more, you are in the right place. According to our source, In a public statement by Afolabi Imoukhuede, Senior Special Assistant to the President on Job Creation (N-Power Scheme), disclosed that the Federal Government will begin the non-graduates scheme component of the N-Power programme in July. NOTE: NPower Non Graduate Registration form 2019/2020 form not yet out and it is TOTALL FREE. Beware of Fraudsters that might request money for registration from you. The cost should be the internet charges incurred. According to him, the N-power scheme has two broad components, namely: graduate and non-graduate schemes. And that N-power recruitment will kick-off by June/July. The Senior Special Assistant to the Vice President, Mr. Afolabi Imoukhuede, said the non-graduate component of the programme was designed to empower the beneficiaries with development and vocational skills. The vocational training comprises of automobile technicians, construction work, technology, which is hardware and software. He also said, during the training exercise candidates will receive some stipends and we will equip them with necessary tools and consumables. The Npower scheme aims at providing a platform where unemployed Nigerians can access skills acquisition and development. So applicants who wish to apply must be a Nigerian citizen between the ages of 18 and 35. Applicants must express a genuine interest in their respective programme. Applicants must have the willingness to push them beyond their comfort zone. Basic illustration skills will be an advantage. Applicants must have the ability to solve problem and undertake self-tutorship. Mr. Afolabi Imoukhuede disclosed that Npower is a job creation component of the Social Investment Programme (SIP) of the current administration to the public. The Federal Government will begin the non-graduates scheme component of the N-Power programme in July, he stated.